We would like to congratulate our client, The University of Strathclyde, on the news that the new low-carbon energy network has been named as a finalist in two categories of the Heating & Ventilation Awards. The University is investing £650m in its campus and infrastructure over the next decade and as part of this have created a £20m combined heat and power district heating system which will reduce CO2 emissions as well as delivering significant financial savings. 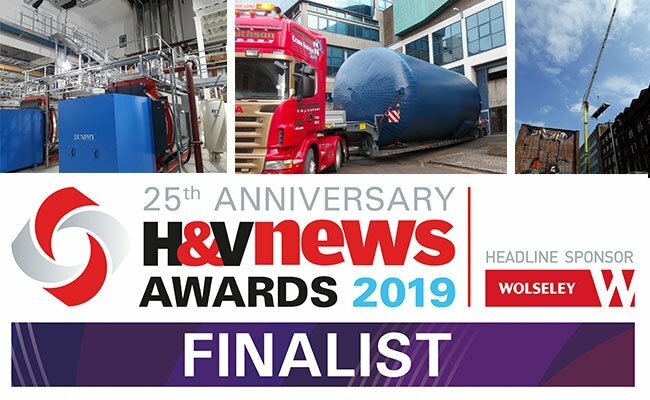 The project has been shortlisted in both the District Heating and Retrofit project of the year categories and the winner will be announced at an awards ceremony in London to be announced later in the year. The project saw Vital Energi install 3km of district heating which connects 16 buildings currently, but has been designed to allow easy expansion and connection of further buildings during the build out. Additionally, Vital completely refurbished the existing energy centre, performing extensive structural engineering and installing a 3.3MWe Combined Heat & Power Engine, 44m flue, 24MW of boiler capacity and a 100,000 litre thermal store.